Station Hollywood: Happy birthday to Amol Palekar. Happy birthday to Amol Palekar. The viewers of bollywood films wish happy birthday to Amol Palekar, on 24th November, 2017. He had been an invaluable asset of realistic films of the 70s and 80s. Directors like Basu Chatterji, Hrishikesh Mukherjee and others had displayed stories relating to the common man due through the performances of Amol Palekar in the related films. He caught the attention of the viewers with his performance in the film Rajnigandha, directed by Basu Chatterji, where he acted opposite Vidya Sinha, the successful actress of the 70s. Salil Choudhury’s music in the film including songs sung by Lata, Yesudas and others like “janeman janeman”, “ranjigandha”, etc., created special impact on the viewers. Amol Palekar’s performance in the other film of Basu Chatterji, titled Chitchor also impressed the viewers. In that film a new pair of Zareena Wahab was created with Amol Palekar who was accepted by the viewers. The film revolved around the romantic story of Amol Palekar that took place in forest locations. The performance of Master Raju in the role of a child artist was also impressive. The music of the film composed by Ravindra Jain including songs like “gori tera gaon”, “tu jo mere sang me”, etc., sung by Hemlata and Yedudas was very impressive. Amol Palekar also gave brilliant performances in serious films like Gharonda, where he expressed the agony of a jobless person in Mumbai and other complication of life. Zarina Wahab again did well opposite him in the film. The music given by Jaidev and the lyrics written by Gulzar in the film was of very high standard. The notable songs sung by Bhupinder Singh and Runa Laila like “do diwane shahar me”, “ek akela is shahar me”, “tume ho na ho”, etc., are important landmarks of Indian film music and Amol Palekar should his capability of giving able lips even in compositions catered to the intellectual commodity. If the serious films of Amol Palekar gave variety to bollywood films in the 70s, the comedy films made every section of the society laugh. His combination with Utpal Dutta was considered one of the most successful combinations in the 70s and 80s, especially in respect of films which had intellectual humour in them. Golmaal and Naram Garam are two films where Amol Palekar and Utpal Dutta complimented each other with their distinct style of acting. In Golmaal, Amol Palekar had to play double role to impress Utpal Dutta and marry his daughter Vindya Goswami. 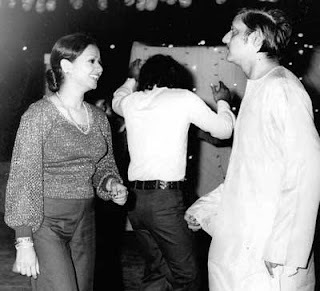 In Naram Garam, he worked in the estate of Utpal Dutta, and after all the preparations being made Utpal Dutta instead of marrying Swaroop Sampad, asked Amol Palekar to marry her. Amol Palekar also did well in films like Baton Baton Me, opposite Tina Munim. His contribution to bollywood films was also wide in respect of direction. His directed film Paheli was critically acclaimed by the critics. He used Shahrukh Khan and Rani Mukherjee very well in the film. Viewers want Amol Palekar to make a comeback in bollywood films, as his face is wanted more infront of the camera than behind it as director. He can still contribute in character roles in modern bollywood films.